by Bill Dwight on Wednesday, March 18, 2015 at 8:40 PM | LEAVE A COMMENT! Perhaps you’ve heard of behavioral economics — the study of the role psychological, social, cognitive, and emotional factors play in economic decisions. It explains why we’re such suckers for those cleverly worded BOGO offers and other sneaky marketing tricks. Our emotions, stereotypes, and rules-of-thumb interfere with our ability to make strictly logical financial decisions. But what about our genetic makeup? How do our genes influence our financial decision making? That’s what the emerging field of neuroeconomics is all about. Can you blame your kid’s lousy money behavior on his 5-HTTLPR gene? Maybe a little. Check out Your Genes Might Affect Your Credit Score to see how a Stanford University study linked variations in a specific gene to riskier financial decisions and lower FICO scores. 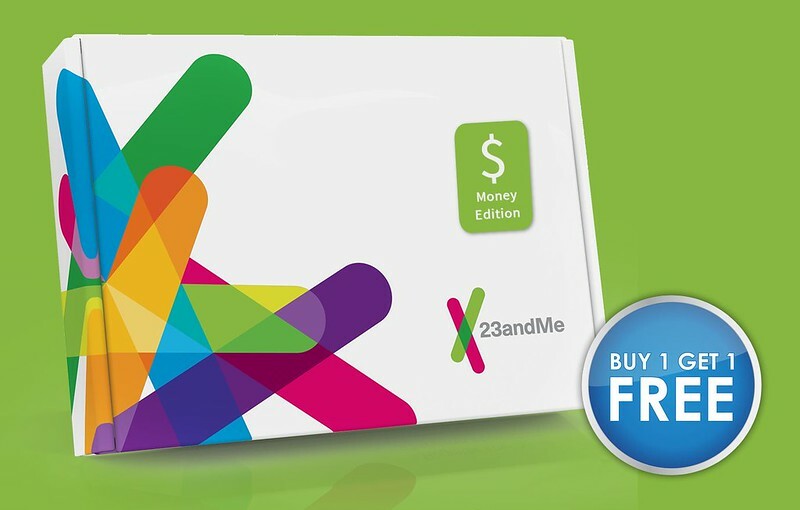 This sounds like a new business opportunity for 23andMe. Hey, anxious parents, for just $99 we can tell you whether your kid has the bad money gene. Send in your kid’s spit today! In fact, buy one now, and you’ll get one free. Send us your spit too! Ah, the perfect BOGO offer, exploiting both behavioral and neuro economics in one neat little promotional package! So, you find out your kid has the bad money gene. Before you go pulling the genetic victim card to let yourself off the parental hook, remember this: knowledge, effort, and habits can combine to trump genetics and emotions. Yet another reason to get busy teaching your child personal finance basics ASAP. Looking for an easy starting point? Gather a few juicy Buy-One-Get-One-free offers, and discuss them with your kids. Which ones are a good deal for your situation? Which one’s aren’t? How is each offer trying to manipulate your emotions (or trigger your defective money gene)? Train your kids to consciously spot marketing manipulation techniques, and they’ll be well on their way to becoming smart spenders — whether their 5-HTTLPR genes are defective or not.